Tai Randolph is no stranger to solving mysteries. With a taste for danger and a talent for amateur sleuthing, she has helped put an assortment of murderers behind bars, much to the displeasure of her lover, Trey Seaver. A former SWAT officer with the Atlanta police department before a car crash inflicted brain injuries forcing a retool of his life, Trey believes in letting the authorities handle complex matters of crime and punishment. He's easier with a world of black and white while Tai wrestles with too many shades of gray. But then the Talbot case flares back to life. It was the crime that rocked Atlanta - actress Jessica Talbot shot dead in her Buckhead mansion and her husband, movie producer Nick Talbot, accused of the murder. The case seemed open and shut...until a dirty cop's secret forced prosecutors to set Talbot free. Now, four years later, someone wants Talbot dead, and the evidence points to the man most convinced of Talbot's guilt - Trey. Talbot offers an irresistible deal - he'll keep Trey's name off the suspect list if Trey agrees to a one-on-one interview. It's a chance for Trey to deploy his post-injury ability to read lies and determine once and for all if Talbot really is a killer, but it could also expose secrets in Trey's own past, confidential information he has sworn to protect. Caught between his drive for justice and his need for security, Trey does the unexpected - he asks Tai to help him investigate. It's a situation fraught with drama and potential disaster, the kind of case Tai relishes. With Trey by her side - and in a killer's crosshairs - she vows to use every trick in her slightly sketchy playbook to stop a vigilante murderer from claiming a fresh victim. Can she and Trey keep themselves out of a killer's crosshairs long enough to crack open a new chapter in their lives? 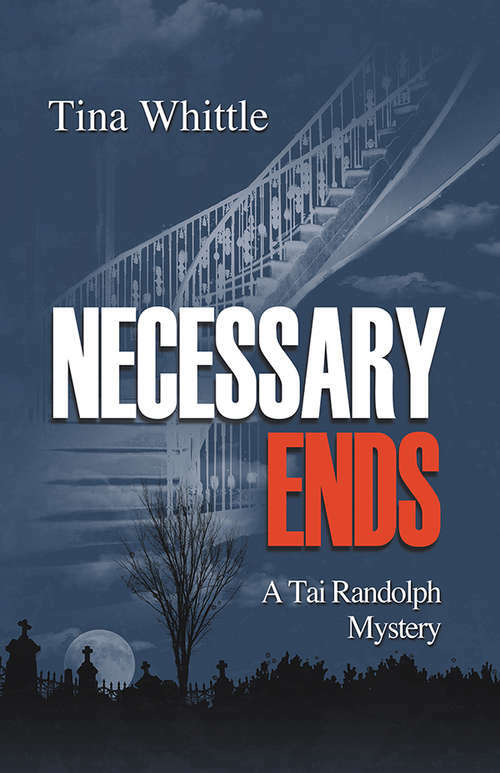 Necessary Ends is the 6th in the Tai Randolph Mysteries rooted in Atlanta and Savannah, Georgia.